“We are like mosaics of cultural influences, made up of the places we’ve visited and the people we’ve met. 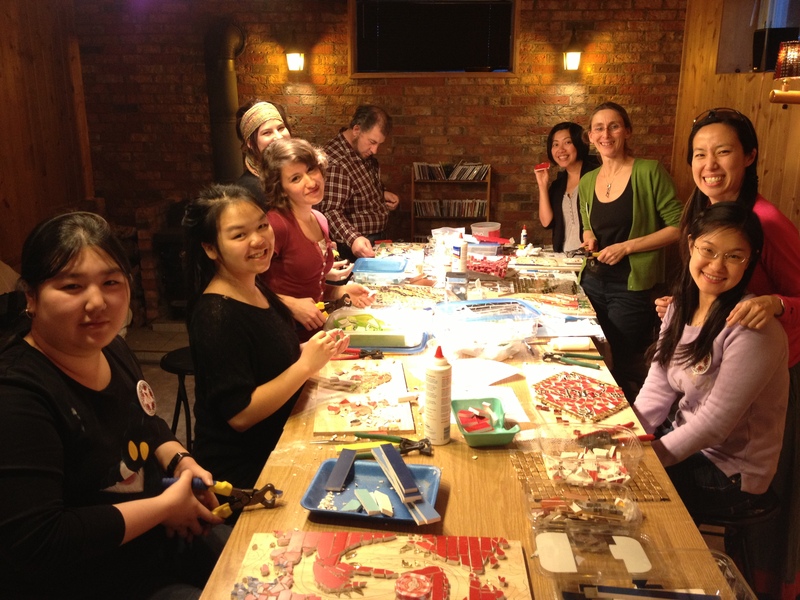 There are no straight lines,” says Lisan Chng, mosaic artist and creator of the MosaicJam projects in Rimouski. The idea behind MosaicJam has been developing gradually over the past four years. 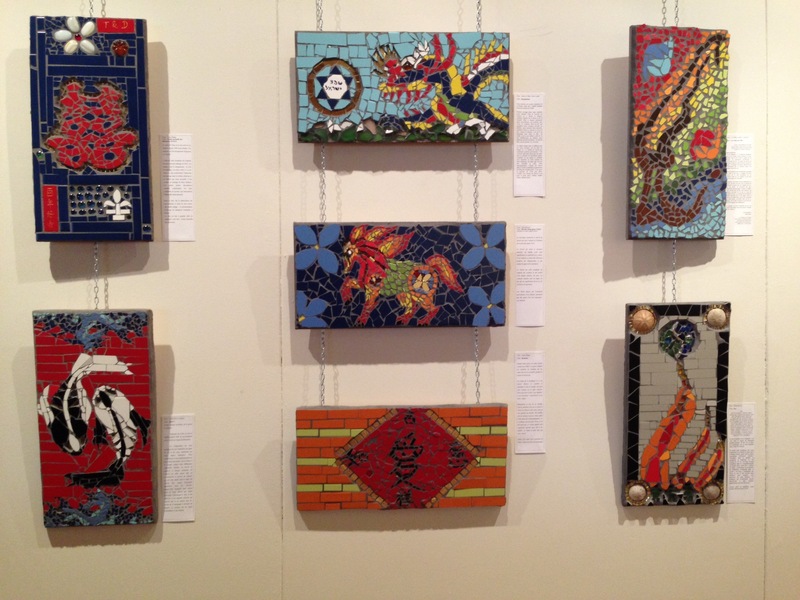 In 2010 Lisan, a native of Singapore, worked with a group of Chinese students to create a mosaic for an exhibition. She says that it was during this project that she discovered how much she enjoyed sharing her passion in a practical way. 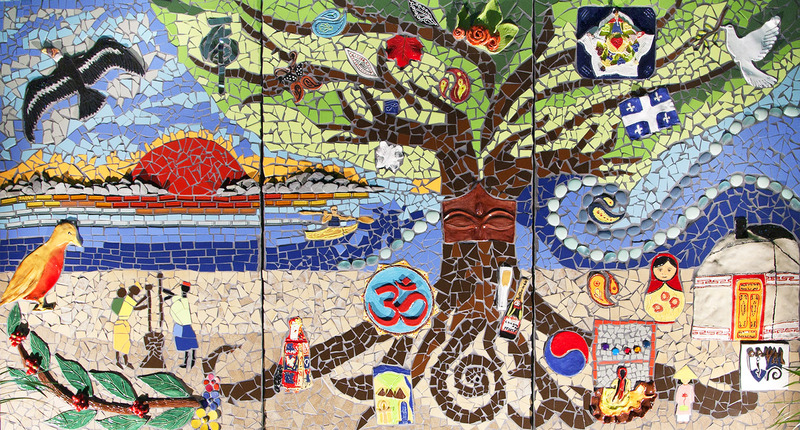 Tree of Life – intercultural mosaic project that brought together 12 immigrant women to express their cultural roots. The following year Lisan approached Accueil et integration B.S.L. (AIBSL) to create a project bringing together members of the immigrant population of Rimouski to create a mosaic that would be displayed at the Rimouski Intercultural Festival. However, the result was far more than just a beautiful mosaic: the project brought people of diverse cultures and languages together to achieve a common vision, “that was what really launched me into MosaicJam,” explains Lisan. A language exchange through art: a French-speaker and an English-speaker teamed up to create together and learn each other’s native tongue. The nature of the project, in which each participant created a ceramic cultural symbol to be incorporated into the mosaic, led to the participants discussing their choices and what they meant to them. 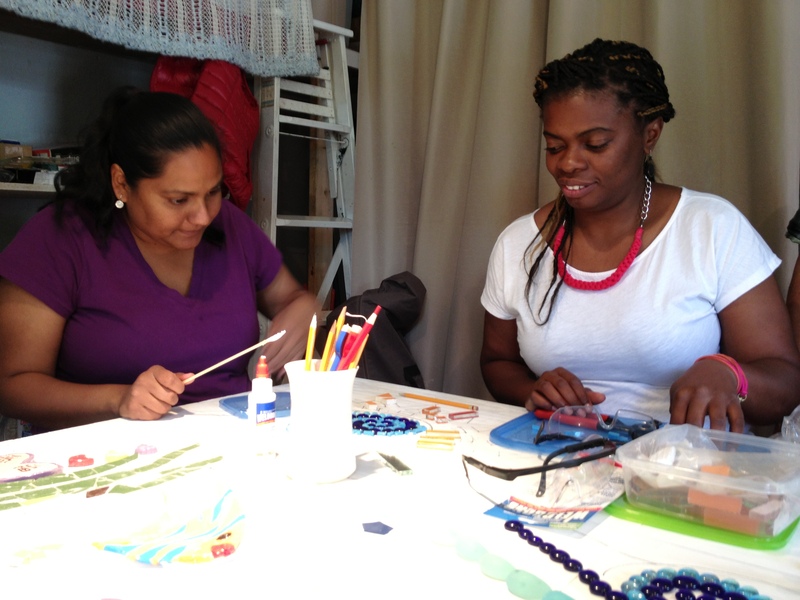 “Through the creative process, we got to know each other on an intimate level,” explains Lisan. In planning the project Lisan consciously created space for these deeper discussions to occur: “I realised that although these people have a lot of similar experiences, they didn’t have a common meeting place where they could get to know each other. The project created that space.” Each work session began with some time to share thoughts and feelings about the project, leading naturally into discussions of identity as the participants chose how they represented themselves in the mosaic. Three finished pieces from the Chinese New Year 2014 Exhibition project. The exhibition was opened in February at the Université de Québec à Rimouski (UQAR) and is now on display at UQAR in Lévis until the end of May. Lisan won a bursary for the project, awarded by Culture pour tous under their Cultural Mediation program which promotes the “process of building bridges between the cultural and social realms.” Lisan explains that up to now, all MosaicJam’s projects have been grant-funded and have been in collaboration with a particular partner. So far, for the creation and exposition of the projects she has worked with AIBSL, the Ville de Rimouski, schools, the Association des étudiants et chercheurs chinois (AECC) and the Centre culturel oriental (CCO). Lisan’s next project will take her out of the Bas-Saint-Laurent and back to her native Singapore for three months as she embarks on her most ambitious mosaic project yet: “Over twelve weeks, 300 people will contribute towards a 120 square foot mural.” The project, called “Project Hope”, is for a hospital and will involve hospital staff, patients, their families, volunteers, students and members of the public. Fifty participants will be what Lisan calls “core participants” who will share their personal stories of hope and will be trained to show drop-in participants the basic techniques. It has taken a year to plan, but for Lisan it was vital to take this time to create the structure that would not only get the work done but once again create the space for discussion and exchange. An intergenerational and intercultural project is lined up for her return to Rimouski. The project will bring together adopted youth from different countries and partner them with an adult from their country of origin. The idea behind this project is for the youth to learn about the country where they were born from someone who grew up there. The hope is that this will open up discussions around identity and culture while the participants create works of art which will be more meaningful as a result of the conversations. 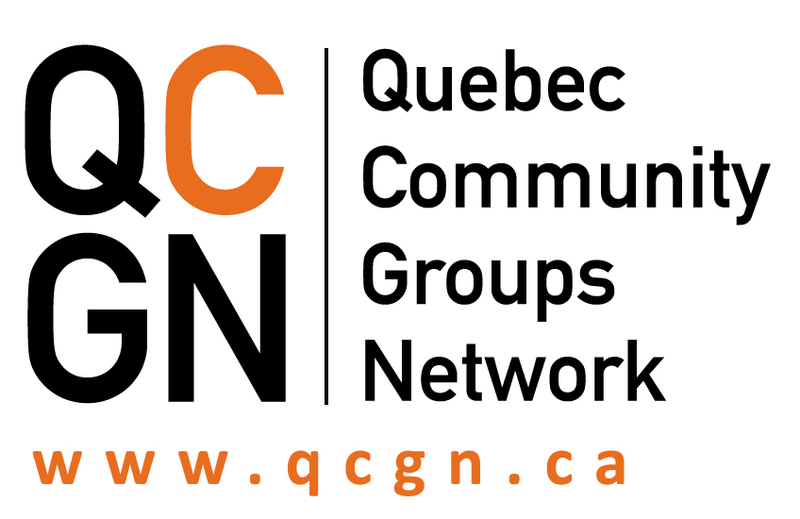 This entry was posted in Newsletter and tagged Art, Artist, Culture, Intercultural, intergenerational, Mosaic, Newsletter, Rimouski. Bookmark the permalink.